Keywords are the foundation of your SEO strategy. 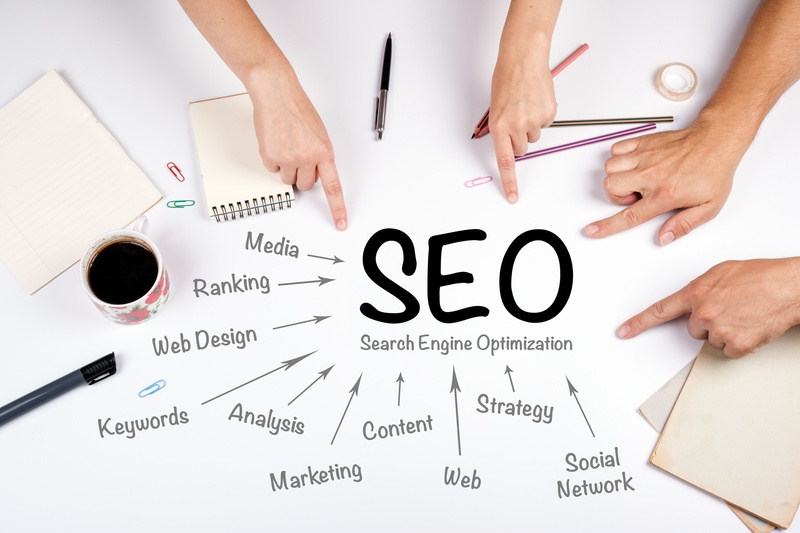 However, due to the competitive nature of SEO, others have devised clever and tricky, sometimes even malicious techniques to "game" results that have forced others to either do the same or risk falling behind in rankings. Keyword stuffing: Chosen the right keywords? Nice! Don't be too eager on riddling your content with them though. Spamming (or stuffing) keywords will make your content feel unnatural and search engine algorithms do detect this. Page permutation: Page permutation is when many pages are created to rank highly for very specific search queries, where every one of those pages essentially lead the user to one destination page. An example of this would be airline companies creating many pages of the same format with different cities as their keywords, where all the pages just end up leading the user to the same booking page. Google themselves are against this practice. Wrong keywords: Optimizing for your chosen keywords is all good, but are you sure you've chosen correctly? While you might have your own vision of how your content should be found, remember that it is more important to consider how users would search for it. Do careful research and make sure that you're choosing the keywords that people are actually using. Use tools like Google AdWords KeywordPlanner and Google Trends. Optimizing for only one keyword: For most websites, optimizing for multiple keywords is always a good thing. This means searching for secondary keywords that are relevant to your primary one and using them in your content. This is proven by a study by ahrefs showing that a high-ranking page will also show up for dozens, or even hundreds more search engine results. Working on your website redesign? Without this checklist you might be missing some important steps. Keywords are how users find your content but content is why your users are searching in the first place; content is the building blocks of your website after all. Scraped Content: Even in school we didn't want our classmates copying our answers, right? Same thing in SEO. Some examples of scraping content are: websites that take content from other sites and put in some slight modifications like swapping words with synonyms and such; or websites that have auto-generated feeds from social media channels that make up more of the page than the actual content of that page. Thin Content: Thin content is when your content simply offers too little or no value to your users. This may include other mistakes listed here like scraped content and page permuation. Duplicate Content: Duplicate content can hurt your SEO by confusing search engines what page to show in its results. Duplication can happen for several reasons: URL variations, HTTP and HTTPS versions of a site, scraped or copied content. A good way to fix this would be to implement a link element with a rel="canonical" attribute on the head of your page. This makes it so that any variation of your page will all attribute it's ranking power to the original. Optimized your content? Around the right keywords too? Good job! Don't think everything's accounted for, though. Your website's technical side of things is yet another factor that search engines look at when ranking. Slow website: Google recently announced that it will start factoring mobile page speeds more strongly in how it ranks pages. With both desktop and mobile speeds now ranking stronger than ever, it is simply not acceptable anymore to have non-optimized speeds. Non-secure website: It's been a long, long time since Google announced that they would be taking HTTPS as a ranking signal. So there's really no acceptable excuse that a website wouldn't be using HTTPS in this day and age. Even if you're site is purely informational (i.e. no forms, logins and the like), you'll want to look into moving over to HTTPS as this will not only make your visitors secure, it will also help your SEO ranking too! Non-mobile-friendly website: Just like HTTPS above, Google started boosting ranking for websites that were mobile-friendly. This change started three years ago and it is here to stay. With more and more online activity being done on mobile devices than traditional desktops, this isn't really a surprise anymore. Make sure your website is responsive and fully mobile-friendly for that boost is user experience and ranking as well! Hopefully, your SEO strategy doesn't forget these critical yet very common mistakes that many others are making. If you feel that you need more help with your website's SEO, feel free to contact us here to get a free quote! Are making any of these common SEO mistakes? Contact us today and we'll be happy to help you out (951) 479-5411.